FreshPet is the maker of refrigerated pet foods that animals love. And they’re healthy, too. Embrace Pet Insurance helps pet lovers pay for medical expenses for their four-legged friends. Waggit makes an ingenious wearable collar monitor to improve and possibly extend the life of your dog. SPCA helps rescue dogs and prevent cruelty to animals. MyPetNeedsThat is a website every dog lover will love! 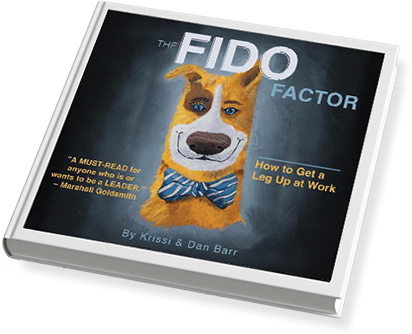 The Fido Factor is more than just a book. It’s a complete training system.